ex-urban angled dishes. Shiny, shiny Liebeskind. but (was it Denver, or Jasper?) updated, in denim, freakin’ rich. Marooned in the shiftless, unnamed space between a map of the world and a world of false maps, the poems in Methodist Hatchet cling to what’s necessary from each, while attempting to sing their own bewilderment. Carolinian forest echoes back as construction cranes in an urban skyline. Second Life returns as wildlife, as childhood. Even the poem itself — the idea of a poem — as a unit of understanding is shadowed by a great unknowing. Fearless in its language, its trajectories and frames of reference, Methodist Hatchet gazes upon the objects of its attention until they rattle and exude their auras of strangeness. 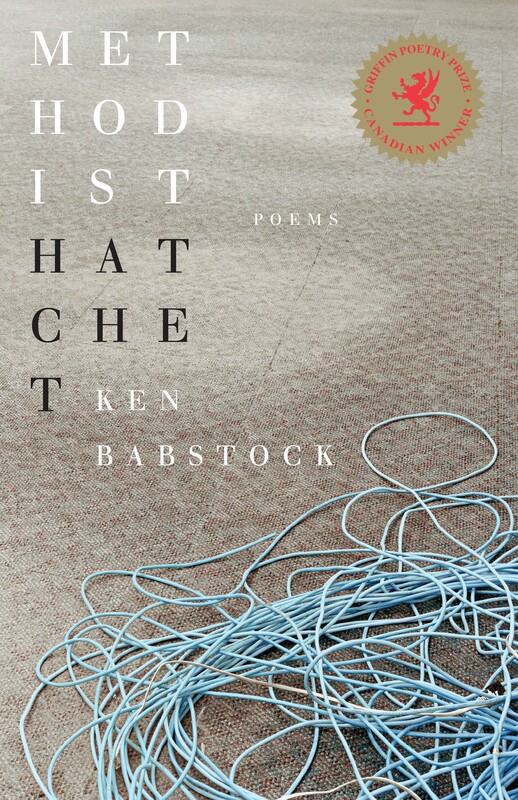 It is this strangeness, this mysterious stillness, that is the big heart of Ken Babstock’s playful, fierce, intelligent book.